In the eighties, viewers of David Letterman's late night comedy show frequently heard him break into song. "Midnight, and the kitties are sleeping," the gap-toothed comic would sing. It was, of course, a parody of "Memory," the show-stopping number from Cats, the Broadway sensation from the fertile musical brain of Andrew Lloyd Webber. When Letterman moved his show to the Ed Sullivan Theater in 1994, one of the first comedic bits featured a surprise appearance by screen legend Paul Newman who stood up in the audience, complimented Letterman on the impressive new venue, but wondered "where the hell are the singing cats?" The fact that Webber's work was being parodied was a tribute to its impact, not only on Broadway but on popular culture. After the Beatles officially broke up in 1970, many people wondered where the next musical "phenomenon" would come from. The '40s gave us Sinatra, the '50s delivered Elvis, and in the '60s, the Fab Four reigned supreme, revolutionizing pop music by treating it as art. Despite their enormous popularity, neither Michael Jackson nor Bruce Springsteen really filled the void that the Beatles left after their breakup. In retrospect, Andrew Lloyd Webber has. He's not a performer, and he's no rock and roller, but his impact is comparable to those other musical megastars. "When I started out when I was a kid," he recalled, "nobody believed in musical theater. People said that the whole thing was just a load of nonsense. It was a whole kind of gone form, and we had to be the Beatles or Elvis Presley." Webber credits lyricist Tim Rice for convincing him that musical theater could still be relevant, and that they could "bring a little bit of something new into musical theater." And they did. Webber and Rice opened a window and a fresh breeze blew into the musical theater. Broadway remained alive with the sound of music, but now the songs emerged from such unlikely characters as the Phantom of the Opera, and historical figures like Eva Peron who few would have considered likely subjects for musicals, a genre often shunned as being appropriate only for lightweight subjects. Stephen Sondheim and Leonard Bernstein demonstrated otherwise with West Side Story, and even an old chestnut like Show Boat proved that musicals could be serious, but few explored the possibilities that the genre presented as often or as successfully as Andrew Lloyd Webber. Born on March 22, 1948 in a suburb of London, England, Webber seemed destined from an early age for a career in music. His father was a composer who had provided musical accompaniment to films during the silent era, and his mother was a pianist and violinist. With the encouragement of his aunt, he staged his own musical productions with the help of his brother Julian who would grow up to be a cellist. Webber even built his own toy "theater" built from bricks and containing a proscenium arch and a revolving stage he constructed from a record player turntable. His aunt was an actress and she frequently took him to her plays, giving him an early glimpse into the world of the real theater on which he would make such an indelible mark. He also went to the movies, seeing such Hollywood musicals as Gigi and South Pacific, sitting through the latter no less than 12 times. By age nine, he was a published composer but despite his musical heritage, Webber's plan was to become a historian, the course he followed upon arriving at Oxford. Secretly, however, his chief interest was still music, and he set his sights on being a songwriter. Although his father was the senior professor of composition at the Royal College of Music, he nonetheless advised his son against enrolling there, warning him that "they will educate the music out of you." Webber had heard that Oxford was a "home to the country's most promising lyricists," and Webber hoped to meet someone who could provide the words for his music. Tim Rice wasn't a student at Oxford but rather a lowly gofer for EMI, the huge record company to which the Beatles had been signed. Through a mutual friend, the aspiring lyricist was introduced to the struggling composer who was, as Rice said in a letter he wrote, "looking for a 'with it' writer of lyrics for his songs." Webber and Rice formed an unlikely partnership. While Webber was interested in musical theater, Rice was a rock and roll fan who had never seen a musical. There was also a marked contrast in their personalities with Rice, who was three years older, a flamboyant and gregarious ladies man, while Webber was shy and introspective. But upon meeting Rice, Webber turned his back on Oxford and turned his attentions to music. The new team's first collaboration was 1968's The Likes of Us, a musical comedy about Dr. Barnardo, the Victorian founder of children's homes. The show, regarded now as little more than a substandard knock-off of Oliver, went nowhere and wouldn't receive a proper public performance until 2005. Webber and Rice didn't focus exclusively on musicals, though. They also knocked out pop songs. In 1967, they entered the Eurovision Song Contest, but their effort, titled "Try It and See," was unsuccessful. It was Alan Doggett, the choir director of Colet Court, a preparatory school at St. Paul's School, who came to their rescue with a commission to write a short piece for a concert to be staged at the end of the school term. It was recommended that the piece have some religious significance, and from this offer came Joseph and the Amazing Technicolor Raincoat, a musical based on the biblical story of Joseph. Tim Rice's rock and roll sensibilities led the pair to base the character of Pharaoh on Elvis Presley. The short piece attracted the attention of The Times and would be expanded following the success of Webber and Rice's next collaboration which would be the turning point in their careers: Jesus Christ Superstar. Jesus Christ Superstar was first given life, not on stage but on vinyl, in the form of a single released in the United States on December 1, 1969. It was Dean Sullivan of St. Paul's who suggested that the composing duo continue down a Biblical path, although this time there would be controversy. The use of the name "Jesus Christ" in the title of a musical was considered blasphemous by some. To portray the life of Jesus in a musical, complete with a depiction of the crucifixion, seemed like an invitation to be struck dead by a bolt of heavenly lightning. Dean Sullivan helped soften some of the controversy by writing an approving piece describing the work as a "desperate cry. . . The record probes some answers and makes some comparisons. The onus is on the listener to come up with the replies." The biggest question of all came in the title song: "Jesus Christ. Jesus Christ. Who are you? What have you sacrificed?" Worried that the subject matter might doom the project from the start, Webber and Rice decided to record the title song and test the waters by releasing it as a single before embarking on the task of writing a complete show. Murray Head, a veteran of the cast of Hair whose most notable dramatic role would come in 1971's Sunday, Bloody Sunday as the lover of both Glenda Jackson and Peter Finch, recorded the song which was released at a time when religious content was faring exceptionally well on the pop charts. The Edwin Hawkins Singers had an unlikely smash with "Oh Happy Day" and Norman Greenbaum's "Spirit in the Sky" was also a hit. When Head performed the song, its title reduced to "Superstar," on The David Frost Show, it elicited an angry response including the observation from one disgruntled viewer that it proved that "in 1969, the one true God is money." When the single was released, however, it also drew strong praise. One critic called it "one of the finest productions to come out of British studios this year." The title song from Jesus Christ Superstar was released in the same year as the Who's Tommy, and like Pete Townsend's opus about the deaf, dumb, and blind boy who finds redemption in pinball, the album that followed in 1970 was marketed as a "rock opera." Webber and Rice's work was even more of a hybrid than Tommy. Though it would succeed by appealing to the rock generation, it was not rock and roll in the usual sense, but its sensibility was very much influenced by the genre. Among the many stand-out songs was "I Don't Know How to Love Him," a song about Jesus performed by the character of Mary Magdalene and given a classically sensual reading by Yvonne Elliman. The song would become a standard and a bonafide pop hit when covered by Helen Reddy. Jesus Christ Superstar was supposed to receive its first staging at St. Paul's, the same venue where Joseph and the Amazing Technicolor Raincoat premiered, but a rumor, widely reported in the press, that Beatle John Lennon would play Jesus, killed any possibility of that. Christian fundamentalists were still smarting from Lennon's 1966 observation that the Beatles were more popular than Jesus. The story was concocted by a reporter for The Daily Express who asked the composers if they would want Lennon in the lead (of course, they answered "yes") and then reported it as though it was being seriously considered. Jesus Christ Superstar was released in America on October 27, 1970 and was an immediate sensation. Time magazine observed that it was "a modern day passion play that may enrage the devout but ought to intrigue and perhaps inspire the agnostic young." By the time the musical opened at Broadway's Mark Hellinger Theater on October 12, 1971, the album had sold three million copies and plans were already underway for a film version directed by Norman Jewison which reached theaters in the summer of 1973. If Jesus Christ could be the subject of a musical, and a phenomenally successful one at that, why not Eva Peron? Evita once again emerged first as a recording before blossoming into a stage musical. The show debuted on Broadway in 1979 and even those who never saw it or would even consider seeing a musical are undoubtedly familiar with the show's most popular song, "Don't Cry for Me, Argentina." The song went to number one on the charts and was quickly followed by a two record set that proved just as successful. The show received mostly glowing notices with The Sunday Times noting that "Lloyd Webber's score, so full of glorious melodies apart from the well known 'Don't Cry for Me, Argentina,' is an unparalleled fusion of twentieth century musical experience." There were comparisons to Tchaikovsky and Puccini, but Webber's music also fused assorted musical genres, including rock and jazz. It was Evita that fully established Andrew Lloyd Webber as the premiere artist of the musical theater and made his name a household word. But even greater success awaited him. Before long, he would become, in a sense, the Steven Spielberg of the theater, an artist whose work seemed almost destined to achieve tremendous popular success while still inspiring critical acclaim, a virtual industry unto himself, and a true superstar. Evita marked the end of the Webber-Rice partnership, as their opposing personalities clashed more frequently. Having explored unlikely subject matter in his work, it shouldn't have been surprising that he would choose such a surprising collaborator for his next production. T.S. Eliot, the poet whose 1939 poetry collection, Old Possum's Book of Practical Cats, would provide the inspiration for Cats. Even after the record breaking success of Evita, Webber faced a challenge when attempting to attract investors to his latest production. "I can give you the objections and they sound a convincing lot," he said years later. A show with lyrics by a dead poet and featuring singing cats was, he remembered being told, "a recipe for disaster. But we knew in the rehearsal room that even if we lost everything, we'd attempted something that hadn't been done before." The money to stage Cats was raised by appealing to the general public through ads placed in financial newspapers. Ironically, although Webber set Eliot's words to music, the show's most popular song, "Memory," was wholly original. The song came about after Nunn observed that the show lacked a song with the emotional power or hit potential of "Don't Cry for Me, Argentina." Webber found a melody that had been left behind from an earlier show. When Webber first played the piece at a rehearsal, Nunn knew he was hearing something special. Addressing the cast, he said, "What is the date? The hour? Remember, because you have just heard a smash hit by Lloyd Webber." Nunn later provided the lyrics for Webber's most haunting and, perhaps, most beautiful melody to date. On the basis of his association with Webber, Nunn would become a millionaire, earning more than a million pounds in 1985 alone from the success of Cats. To call Cats a success is, of course, an understatement. Opening on May 11, 1981 at the New London Theater, it was a phenomenon, only much more phenomenal than even the success of Jesus Christ Superstar or Evita. On October 7, 1982, it opened on Broadway, becoming the longest running musical in the history of the Great White Way, breaking the record set by A Chorus Line, and selling out performances nightly even six years into its run. Such success couldn't come without a backlash, however, and some of the early reviews of the show seemed to have been written by critics with pens as savagely sharp as a cat's claws. "To sit through Cats," The Village Voice said, "is to realize that something has just peed on your pants leg . . . 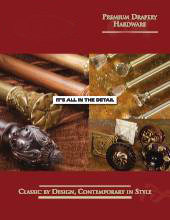 It ought to be retitled 101 Uses for a Dead Musical." But John Simon, perhaps the most curmudgeonly critic of all, observed that "you cannot help experiencing surges of childish jubilance, as cleverness after sleek cleverness rubs against your shins." Time's Frank Rich was more effusive in his praise calling the show "a musical that transports the audience into a complete fantasy world that could only exist in the theater and yet, these days, so rarely does." In The Guardian, Michael Billington acknowledged that such a show could only result from the collaborative efforts of many dedicated artists, but observed that "in the end one comes back to Lloyd Webber's remarkable ability to find tunes that fit each specific feeling." "When I wrote Cats," Webber recalled, "I never thought anything would come along that was going to top it." Webber's next musical neither topped nor approached the success of Cats. Once again under the direction of Trevor Nunn, Starlight Express shared some similarities to their previous collaboration in that it featured dancers as non-human characters, but the show's disco and pop influenced score lacked the wide appeal of Cats and the show closed after less than three years on Broadway. The Phantom of the Opera, however, would more than match his previous success. Based on the 1911 novel by Gaston Leroux that inspired the classic silent film starring Lon Chaney, the musical opened in 1986 with his then wife, Sarah Brightman, starring opposite Michael Crawford who played the title role. Directed by Harold Prince with lyrics by Charles Hart, The Phantom of the Opera would displace Cats as the longest running Broadway musical in January 2006. "I think the fact that Cats is the one it's taking over from is obviously, for me, very special," Webber said, "because it's something I know I'll never ever achieve again, and even if I did achieve it, I wouldn't live to see it . . .The Phantom has denied all gravity, really . . . it just seemed to catch a chord, catch a nerve that when you start writing you can't predict." Webber described the title song as "Rock and roll masquerading as opera," but his score contained many pieces clearly inspired by opera and classic ballads. It's the show's ballads, particularly "All I Ask of You" and "Music of the Night," that proved the most popular and have become standards in the jukebox of our memories. 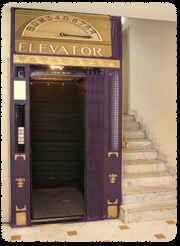 With The Phantom of the Opera still running, and productions of Cats, Evita, and Jesus Christ Superstar likely to be staged into infinity, Webber doesn't need another hit, and his musical production of Billy Wilder's film classic Sunset Boulevard proved such an expensive proposition that even its seven Tony Awards and record advance ticket sales failed to save it from financial disaster. Sunset Boulevard, Webber said, "was a little bit too expensive, really. That's a show that could still be running if it was a little cheaper to run." Unlike The Phantom of the Opera which continued to thrive even after star Michael Crawford left the show, Webber discovered that Sunset Boulevard required a genuine film star to be effective. "You had to have somebody who an audience believed had a connection to movies. So you could have a Glenn Close, but actually, Elaine Paige - as wonderful a performance as it was - didn't connect to people as Glenn would. We found that consistently." Webber followed Sunset Boulevard with such shows as Whistle on the Wind and The Beautiful Game, neither of which made it to Broadway. The Woman in White was more successful, but closed after 108 performances. Reflecting on these disappointments, he said, "Because I desperately want to write, I've been guilty in the past 10 years of taking on things I shouldn't have. The Woman in White, for instance. The first half was extremely good but the second half didn't add up." His body of work did add up, however, to the kind of legacy that ultimately leads to honors for "life achievement," and they started poring in before he reached his 60th birthday in 2008. In December 2006, he was selected to receive the prestigious Kennedy Center Honor alongside three other notables in music (Zubin Mehta, Dolly Parton, and Smokey Robinson). Webber may have had more in common with the only non-musical artist honored that year, Steven Spielberg, with whom he shares a talent for blockbusters. 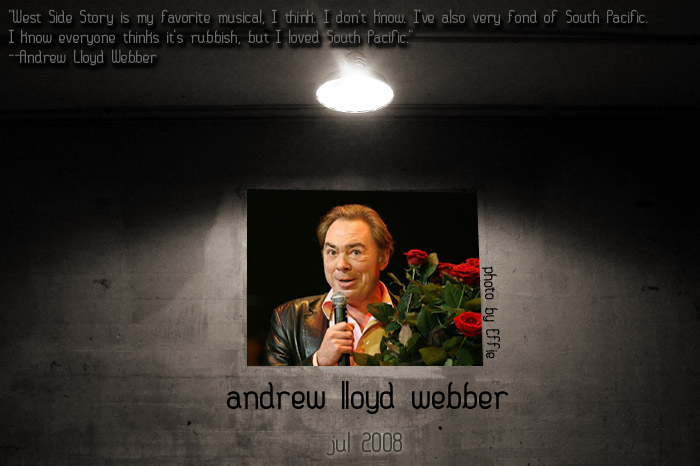 It was almost inevitable that the Andrew Lloyd Webber songbook would be featured on American Idol, and Webber appeared on an April 2008 episode in which six finalists offered renditions of his some of his most famous works. "You can't be taught an instinct for popular music," he said. "It's just something that you have." Webber's instincts have earned him a place as one of the most successful composers of the 20th century. The fact that his success is rivaled, arguably, only by Lennon and McCartney, is proof that he is the musical phenomenon whose arrival the world awaited following the breakup of the Beatles. Webber considers himself "lucky because I've loved musical theater since I was a kid and have been able to make a fantastic life out of the one thing I love." Those of us whose ears and hearts have been touched by his music have shared in his luck.